The present text looks to guide citizens in eRepublik (old or new) in choosing the political party that better adjust to his/her political intentions and goals, something important respecting party recruitment. Nevertheless, I repeat: this is only a guide, not the revealed truth. If you have any suggestion about other ideologies that can be applied in eRepublik, feel free to write it. eWiki Definition: Political philosophy encompassing theories and attitudes which support the elimination of all forms of compulsory government. Specific anarchists may have additional criteria for what constitutes anarchism, and they often disagree with each other on what these criteria are. According to The Oxford Companion to Philosophy, "there is no single defining position that all anarchists hold, and those considered anarchists at best share a certain family resemblance." Either in Democracy or Dictatorship, bills are to be sent and approved that reducing all taxation or state presence (Work Tax, Import Tax, VAT, Minimum Wage, New Welcome Message) near zero. A collateral effect is the existence of a free market, out of control from Great Anarchist. Unfortunately, eRepublik is currently designed such that means of production belongs solely to citizens individually (private property). Hence, it is quite difficult (not to say impossible) to establish "collective", "socialist" or "communist" means of production by other measures than expropriation by taxation, but, at the same time, taxation implies to recognize necessity in the existence of a State, which is contrary to anarchist ideology. Therefore, for game mechanics purpose, we'll consider Cooperative Anarchism as the leftist form of Anarchism. Cooperative Anarchism. Establishment of cooperatives in citizen's companies: for example, manager hire employees at 0.1 CC and start production, donating employees all the finished goods produced by them (managers only keep their WaM products for themselves). Employees, in turn, send back manager the 0.1 CC from salary paid, plus the cost of the raw material used for the production. Establishment of "anarchist institutions" needed to secure the normal development of the community (cooperatives and other unions, MU federations, mutual credit bank, diplomatic federations, anarchist schools, anarchist judges, press guilds, non-market guilds, etc. ), totally autonomous and decentralized between them and who will seek implementation and development of anarchism, anticapitalism and antimilitarism. Being egalitarian institutions, no hierarchy will be allowed whatsoever. Besides free market, anarchist civil institutions will promote non-market ways for exchange of goods and services. The State/Dictator (Great Anarchist) will discourage deviations from co-op anarchism (i. e. he share his golds from political medals or residual treasure income only between people and institutions following mutual/cooperative practices. Besides, those institutions will have access to the ORGs for benefit of their members, starting from a egalitarian base). Also, it will be promoted social penalty toward citizens who breach co-op anarchism with his/her behavior and other forms of anarchism (except communist, collective or syndicalism) or other political and economical theories aren't tolerated. Left Market Anarchism. Free Market is used for achieve social justice, equality between citizens and promotion of anticapitalism and antiimperialism. Establishment of "anarchist institutions" (cooperatives and other unions, MU federations, mutual credit bank, diplomatic federations, anarchist schools, anarchist judges, press guilds, etc. ), totally autonomous and decentralized between them and who will seek implementation and development of anarchism, anticapitalism and antimilitarism. Being other anarchist thought schools accepted, Anarcho-State/The Great Anarchist will share his golds from political medals, residual treasure income and ORGs' access between the anarchist institutions who generate or support egalitarian projects based in free market (including, but not limited to, co-ops) and/or promotes Left Market Anarchism military and diplomatically. Anarcho-State/The Great Anarchist will distribute political medals and residual treasure income between all citizens. Anarcho-Capitalism. People are free to use their private property and own means of production for accumulating wealth and exchanging goods and services in a free market. Anarchist institutions (even military, diplomatic, judicial, educational, financial, etc) are paid between his affiliates. There can have also charity associations. "Leftist" anarchism is allowed but discouraged. Anarcho-State/The Great Anarchist have NO obligation to share golds by medals or treasure, but may promote anarcho-capitalism projects with them, including support to anarcho-capitalist institutions with ORGs access. Individualist Anarchism. Individual and his/her will prevails over anything else (group, society, ideology) and he/she only must look his/her own happiness through his/her own actions. Anarcho-State/The Great Anarchist have NO obligation to share his medals or treasure residual income and he'll use the state ORGs for his own benefit, or rent some of them to make benefit for him/herself. Existent anarchist institutions (if any remains) prioritizes individual over group and, in that sense, looks the greater good for each individual and guarantee as much freedom for them as possible. Any attempt of collective solidarity is socially punished by the individuals. Edited by Demonaire, 14 June 2017 - 04:05 AM. eWiki Definition: Libertarianism is a term used by a spectrum of political philosophies which seek to promote individual liberty and seek to minimize or even abolish the state. The extent to which government may be necessary may be evaluated on ethical and/or economic grounds. "What it means to be a libertarian in a political sense is a contentious issue, especially among libertarians themselves. There is no single theory that can be reliably identified as the libertarian theory, and no single principle or set of principles on which all libertarians would agree." Free-Market: bills are to be sent and approved that reducing all market taxation (Import Tax, VAT) near zero. Trade Embargo bill won't be used. Night-Watchman State: state collection (through taxes and/or organizations) will be used to support military forces (state-owned or not) and diplomacy. It also will be used the bills of Mutual Protection Pact, Natural Enemy, Airstrike, Peace Proposal, Country Donation and Issue Money for those goals. If exists a judicial system, that system will be centralized in the State. Private Education: Ministry of Education will remain vacant and new citizens welcome bill won't be used. Anti-Imperialism as Foreign Affairs Policy. Work Tax and ORGs used for libertarian state sustenance and support of the libertarian institutions. Minimum Wage is used to protect laborers. Bleeding Heart Libertarianism. Libertarian state institutions not only guarantee spending in military forces and diplomacy, but also must guarantee an universal basic income to all citizens, in a social justice framework. Work Tax and ORGs used for implementation of libertarian state, to guarantee an universal basic income and to hinder the creation of corporations. Minimum Wage is used to protect laborers. Creation of libertarian institutions, descentralized, autonomous and based in direct democracy and other participative mechanisms, to counterbalance state. Pragmatic Libertarianism. People has total freedom to develop your society (free market, liberty of individual growth -corporations-, liberty of collective initiatives -co-op-, private education, creation of autonomous institutions with or without profit, etc.). State promotes the best political measures from left and right libertarianism. Work Tax and ORGs only used to implementation of libertarianism by State and to control corporatism. Minimum Wage reduced near zero. Right Libertarianism. Private property and laissez-faire capitalism (and corporations) prevails over anything else. Work Tax and ORGs solely used for implementation of libertarianism (Defense and Diplomacy) and promotion of capitalism and corporatism. Minimum Wage reduced near zero. Autonomous institutions are paid. No money, no services. Charity institutions can be allowed. Minarchism. State reduced to minimal expression.It's totally limited to Defense and Diplomacy. Private Property and Laissez-faire Capitalism (with Corporatism) prevails over anything else. Work Tax and Minimum Wage are reduced near zero, State fulfill its duties by financing with ORGs and treasure residual income. Autonomous institutions are paid. No money, no services. Edited by Demonaire, 16 June 2017 - 01:04 AM. Defintion: Catch-all category for all political systems in existence. It comes from institutions, defined as behavior patterns which are important to a society and also refer state or private formal organizations who interact with that society. By that reason, it is the word most approximate to this category. In this case, the implementation will be attached with the economic orientation of the country. But, in any case, I assume the implementation will be in a democratic system. Democratic Communism/Socialism. Means of production belongs to State, who use those means to distribute all the production between their worker citizens from each according to his ability, to each according to his needs/work (Communism) or to each according his contribution (Socialism). Import Tax and VAT shall be raised to 99% and 25%, respectively. Work Tax shall be raised to 25% and Minimum Wage will be enhanced until an amount that surpass the best national job offer by far. With this, it's partially guaranteed the elimination of employer-employee hierarchical relationship. State will offer a job offer with a pantagruelian salary to manipulate the Work Tax and guarantee, by that action, an expropriation by taxation to all citizens' companies and even combat orders and money medals. Once achieved that expropriation, the tax collection obtained by the State and the income by ORGs in monetary market will be used to buy goods (food, weapons, houses, tickets, money for raw materials) and distribute them to all their citizens and to improve quality in citizens' companies, training grounds, permanent houses, storages and rocket factory. Any surplus in production will be sold in foreign markets to collect additional income. It's ultimately essential the State have an accountability log about the distribution of goods or aids to the population, looking for them to having the essential goods to develop their routine daily, and a control log for government's public servants in case they must receive public funds to create and improve companies exclusively located in a national Holding and severely punish those public servants who change citizenship and doesn't give back the resources. Popular Democracy: State will promote other ways to develop democracy between their citizens, regardless social class or political orientation, not only relative with political system (participative, consensus, deliberative, etc) but also with economical system (participative economy, economic democracy), besides the already established representative democracy. ​Social Democracy. Support social and economical state intervention in capitalist economy for implementation of a "Welfare State", defense of workers, income redistribution and expansion and development of democratic mechanisms. Protectionism (Import tax raised to 99% and high VAT) to support national industries. High Work Tax and Minimum Wage for purposes of income redistribution and laborers protection, respectively. The State will use tax collection and income from ORGs to tax refund for workers, an universal basic income and/or distribution of goods (food, weapons, raw materials, houses, tickets, money for raw materials) for all citizens, government spending and support for infrastructure (creation and improve of companies, training grounds, permanent houses, storages and rocket factories), all the former actions under egalitarian principles and meritocracy. Besides the "official" current democratic system in eRepublik (representative democracy), State will promote other ways to develop democracy (participative, consensus, deliberative, etc) between its citizens. Social Liberalism. Support general postulates of economic and political liberalism, but the State applies social justice policies and promotes upper class to invest in social help, considering the good of the community can harmonize with the individual freedom. State can intervene in market taxes (Import Tax and VAT on industries and commodities) according to the needs of the country, with emphasis in promote trade with other countries although some punctual protectionism is allowed and some internal tax collection (by VAT) to social aids. Support to industrial class through subsidies in raw material and government spending of their production. Representative democracy is the basic form of government and the state looks to improve representation. Liberalism. Support individualism, social voluntarism, market economy and private property of the means of production. Low market taxes (Import Tax and VAT) to support free trade and free market with some tax collection. Low Work Tax and Minimum Wage to impulse competitiveness in the marketplace and capital accumulation, some tax collection is allowed. Social justice can be applicable, but it isn't priority. Political and civil liberties and rights, representative democracy. Banking system and ORGs rental for capital accumulation and invest for profit. Creation of corporations. Private institutions are paid. No money, no services. It can exist charity institutions though. Neoliberalism. Laissez-faire Capitalism. Supports to free trade, fiscal austerity, state deregulation of economy and reductions of government spending to enhance the role of private sector in the economy. All taxes and minimum wage are reduced to near zero. State fulfill its duties (defense, education, diplomacy) by using the ORGs and residual treasure income. If any, the only governmental spending allowed is in support to industries with priority in the big ones (as subsidies in raw materials to high quality companies). Political and civil liberties and rights, representative democracy that defend industrial interests. Private institutions are paid. No money, no services. Edited by Demonaire, 18 June 2017 - 07:41 PM. eWiki Definition: Authoritarianism describes a form of government characterized by an emphasis on the authority of the state in a republic or union. It is a political system controlled by non elected rulers who usually permit some degree of individual freedom. Democratic system with illiberal and authoritarian features or even proper dictatorships if it's needed. Existence of a ruling class who exercises tyranny of the majority, where opposition isn't taken into account and is vilfied. Government in a context of "close society", where all important decisions are taken privately, preferably without taking the Congress into account. Communism/Socialism. Means of production belongs to State, who use those means to distribute all the production between their worker citizens from each according to his ability, to each according to his needs/work (Communism) or to each according his contribution (Socialism). Democratic centralism: Ruling party members and allies from other parties will debate and decide democratically. The decisions taken by majority will be binding and obligatory for members and leaders and it's forbidden to publicly express disagreement. In return, they shall have the right to require periodical accountability about party or coallition activities. Political exclusion of opponents. Left-Wing Populism. Political calls to general population to promote popular action against the prevalent statu-quo in country's politics, based in social justice, anticapitalism and alterglobalization. State will promote other ways to develop democracy (participative, consensus, deliberative, etc.) between ruling and allies parties' members, besides the representative democracy already existant and excluding political opponents. Social Conservatism. The government shall have a greater role in the social affairs of its citizens, generally supporting whatever it sees as morally correct choices and discouraging or outright forbidding those it considers morally wrong ones. ("morally correct choices" implies traditional, customary, national beliefs) The former, without abandoning concepts like community, social justice, solidarity and market regulation. Conservatism. 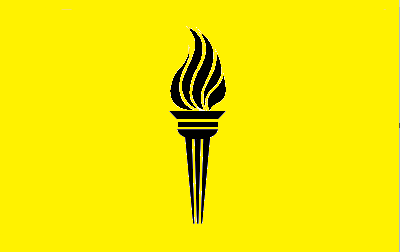 Promotes retention of traditional social institutions, emphasizing stability and continuity of national heritage and identity; strong state policies in defense, diplomacy and education (imperialism, militarism, anti-inmigration, traditionalist education), supremacy of the rule of law and respect for authority. All the former, in a frame of economic liberalism. Representative democracy with limitations of civil and political rights for opposition. Anti-imnigration policy: Citizens passes to foreigners are considerably reduced. Fiscal Conservatism. Advocate the avoidance of deficit spending and reduction of government spending, including no loads from neither private nor foreign sectors; free trade; lower taxes and state deregulation of economy. Besides, it also defend traditionalist and conservative beliefs and institutions, imperialism, militarism and anti-inmigration. Anti-imnigration policy: Citizens passes to foreigners are forbidden. Edited by Demonaire, 21 June 2017 - 04:28 AM. eWiki Definition: Totalitarianism (or totalitarian rule) is a concept used to describe political systems whereby a state regulates nearly every aspect of public and private life. Totalitarian regimes or movements maintain themselves in political power by means of an official all-embracing ideology and propaganda disseminated through the state-controlled mass media, a single party that controls the state, personality cults, control over the economy, regulation and restriction of free discussion and criticism, the use of mass surveillance, and widespread use of terror tactics. Government in a context of "Close Society", where all important decisions are taken privately. Political Repression: Opposition to regime are banned from any public aid or policy, citizenship lost if they leave the country and publication and promotion of pro-totalitarian articles by buying votes for those (Voters Club), also with the goal to barring critical press from Top 5 or Top 10 articles from national media. Totalitarian Socialism/Communism. Socialism/Communism from above, industrialization, extensive use of state propaganda, cult of personality and disavowal by liberalism (multi-party system and political rights), while means of production belongs to State, who use those means to distribute all the production between their worker citizens from each according to his ability, to each according to his needs/work (Communism) or to each according his contribution (Socialism). Socialism/Communism from above: Dictator and his inner circle makes an administrative elite that manage the socialist/communist state. Protectionism (Import tax raised to 99% and high VAT) to support national industries until they are strong enough to compete in a free market. Minimum Wage for laborers protection, respectively. The State will use tax collection (except Work Tax) and income from ORGs to tax refund for workers, an universal basic income and/or distribution of goods (food, weapons, houses, tickets, money for raw materials) for all citizens, government spending and support for infrastructure (creation and improve of companies, training grounds, permanent houses, storages and rocket factories), all the former actions under egalitarian principles and meritocracy. Mixed companies: State will acquire some of the properties from national Holdings to get utilities by earnings generated by the companies. In return, State will actively help in investment on those Holdings (creation and upgrades of companies). For that, Work Tax will be exclusively dedicated for that investment, after tax return to employees and the corresponding part of profits to the employers if the tax was to be excessively charged. Democratic centralism: Ruling party members will debate and decide democratically. The decisions taken by majority will be binding and obligatory for members and leaders and it's forbidden to publicly express disagreement. In return, they shall have the right to require periodical accountability about party activities. Enlightened Absolutism. Dictator fostered education, respect for private property, freedom of speech and another civil rights, based in liberty and progress, despite political despotism. Sponsorship of cultural and educational institutions and activities for citizens "enlightment". Dictator could self-proclaming as "King" or "Emperor", and his/her inner circle could constitute itself as a "Royal Court" or "Imperial Court". Fascism. Partial capitalism with economical support from state to big corporations. In return, corporations will help state with investment in infrastructure and military forces. Low VAT to support free trade and free market, with some tax collection. Partial capitalism: State looks on comercial partners (and imposing trade embargoes over the rest of countries) or establishment of protectionism (Import Tax: 99%) to promote industrial self-sufficiency. State allies with big corporations (Holdings with many companies developed in quality) at the expense of little companies and trade unions. Tax collection goes to corporations support in infrastructure (Creation and upgrade of companies) and administrative operation (defense, education, diplomacy). Corporations, in turn, also support their partners (training grounds, permanent houses, rocket factory) and the state to improve military forces. Social justice can be applicable, but it isn't priority, except if there are economical crisis. Private institutions are paid. No money, no services. It can exist state institutions for charity, though. Militarism and Nationalism: State will mainly develop litar infrastructure and devote itself to imperialism to look on "Vital Space" for the country. Dictator will generate pro-dictatorship propaganda to generate cult of personality. Total autonomy in his/her decisions. Corpocracy. State support and promotion of capitalist corporations by helping with its development and repressing alternatives options. Totalitarian dictatorship that defends corporative interests over common benefit. Repression of liberty of expression. Income redistribution for all citizens is forbidden. Dictator have total autonomy in his/her corporative decisions. Edited by Demonaire, 24 June 2017 - 03:36 AM. I have a doubt. In some guides, is informed that a citizen can only enter in some party, after he achieve strength 50. Still worth this criterion? Or the criteria changed? Still applies. As part of being an adult citizen.